Don’t need all the fields in QuickBooks’ customer and vendor forms, or need more? We can help you modify them. 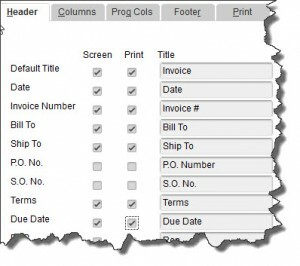 QuickBooks comes with pre-formatted templates for forms like invoices. You can use them as is or change them. Ask us how. Does your business use graphics and fonts and colors in materials to reinforce your brand? You can modify QuickBooks’ forms to be consistent. 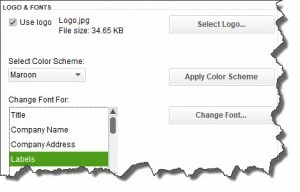 QuickBooks offers a Layout Designer that gives you control over the appearance of customer and vendor forms. We can help you use it.